The Federation of Cypriot American Organizations will host its annual Testimonial Dinner on Thursday, September 27, 2018, 7:00 pm at Terrace on the Park. 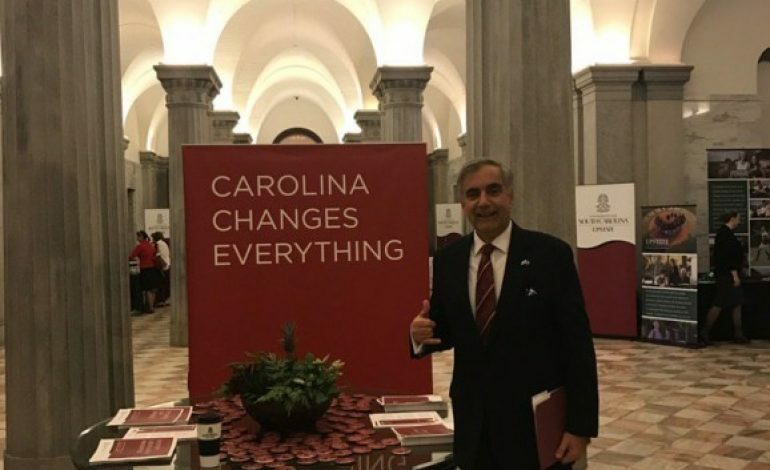 Dr. Harris Pastides, President of the University of South Carolina, will be honored with the Lifetime Achievement Award, and His Grace Bishop Sevastianos of Zela will be honored with the Leadership Award. Dr. Harris Pastides will be bestowed with the Lifetime Achievement Award as a recognition of his leadership, outstanding achievements, and contribution to academia. His Grace Bishop Sevastianos of Zela will be bestowed with the Leadership Award as recognition of his leadership and longtime support to the Greek-Cypriot community of America. The Testimonial Dinner organized by FCAO—the leading organization dedicated to the promotion of Greek Cypriot cultural heritage in the United States—will be co-chaired by His Excellency Mr. Nicos Anastasiades, President of the Republic of Cyprus, and His Eminence Archbishop Demetrios Primate of the Greek Orthodox Archdiocese of America. A steadfast advocate for superior student experience, Pastides encourages engagement beyond the classroom through leadership, service learning, international experiences, internships and undergraduate research. During his tenure, innovative programs like Palmetto College, On Your Time Graduation, Gamecock Gateway, Gamecock Guarantee and the Gamecock Student Athletic Promise provide greater access, flexibility, and affordability to South Carolinians seeking a higher education degree. In addition to establishing record-setting enrollment, more than 100,000 degrees have been awarded system-wide during Pastides’ presidency. Bishop Sevastianos was born in Ano-Zodia, Cyprus and he had his primary education at his village. He is a graduate of the Economic High School, Morphou, Cyprus (1973) and the Theological School of the University of Athens, Greece (1978). He received a scholarship through the World Council of Churches to study in the United States at Columbia Theological Seminary, Decatur Georgia (1982) where he earned a Th.M. in Pastoral Psychology. He has worked and received advanced certification in Clinical Pastoral Education at Caraway Methodist Medical Center, Birmingham, Alabama (1980-1982), and furthered his studies in Pastoral Psychology at Vanderbilt University, Nashville Tennessee and Middle Tennessee State University (1982-1984). He was ordained Deacon on January 17, 1974, by the late Metropolitan of Morphou Chrysanthos and Priest on March 4, 1978, in England by the Bishop of Tropaiou Gregorios who the Archbishop of Thyateira and All England is currently. Shortly after that he received the offikion of Archimandrite by the late Archbishop of Thyateira Athenagoras. He has served several parishes both as a deacon and a priest in Cyprus, Greece, England and the U.S. As a Deacon he served the late Metropolitan Chyrsanthos of Morphou (1974), St. George Church, in Akadimia Platonos, in Athens (1975), St. Nicholas Church in Kato Patisia, Athens (1976-78), and as a priest in Nottingham England (1978-79), Holy Trinity-Holy Cross in Birmingham, Alabama, U.S. (1980-82), Saints Constantine and Helen – Holy Cross, Huntsville, Alabama (1982-84, 1989-93), the Cathedral of Panayia Catholike, Limassol Cyprus (1984-88), Holy Transfiguration, Marietta, Georgia (1993-2004), and St. Nicholas Cathedral, Tarpon Springs, Florida (2004-06). He was appointed Chief Secretary of the Holy Eparchial Synod by His Eminence Archbishop Demetrios Geron of America on June 1, 2006, a position that he still holds. On December 1st, 2011, the Holy and Sacred Synod of the Ecumenical Patriarchate of Constantinople elected Fr. Sevastianos Skordallos Bishop of Zela unanimously. He was chosen from a list of three candidates whose names were submitted to the Holy and Sacred Synod of the Ecumenical Patriarchate by the Holy Eparchial Synod. He was ordained a Bishop on December 17 by his Eminence Archbishop Demetrios Geron of America and other Hierarchs of the Holy Archdiocese of America. His Grace Bishop Sevastianos continues to serve the position of Chief Secretary of the Holy Eparchial Synod including the position of advisor to National Philoptochos Society, a position he holds since 2012. 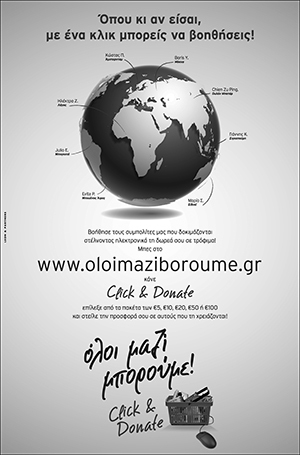 The Annual Testimonial Dinner of the Federation of Cypriot American Organizations is held every September in New York. Past award recipients include: His Eminence Archbishop Demetrios of America, then-United States Senator Joseph Biden, the former Prime Minister of Greece Mr. Costas Karamanlis, Dr. Chrysostomos Nikias, President of the University of Southern California, Nikos Kotzias, Minister of Foreign Affairs of the Hellenic Republic, numerous United States Senators and members of the U.S. House of Representatives, as well as prominent American businessmen and philanthropists.